2014 - Life size mother bear with her two cubs climbing a 14' tree. 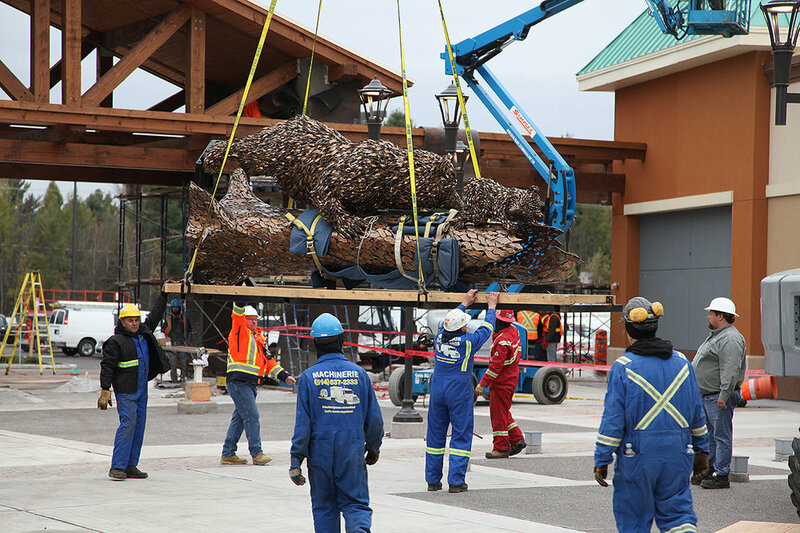 This piece is commissioned by Simon Properties for their Premium Outlets Montreal, Canada. The Tree made of shards of metal has voids to create the depth of the bark texture. The bears are made of thousands of twisted pieces of bronze. This was truly a fun project.